The Masquerade costume competition is meant for creators of fantastic attires – both cosplayers and people creating original outfits. It’s a place where characters you know from comics, books, movies or games can become part of reality, even if only for a little while. Apply today and take part in the Masquerade! If you’re dreaming of appearing solo, fill out the individual application form, and if you are a cosplay team, you should go to the group application form. If you’re still a bit underage, remember that you have to fill out the parent or guardian permission form. The Masquerade – what’s it all about? And if you’re sitting there wondering what this whole Masquerade business is all about, want to participate or sit in the audience and admire this wonderful show, but you’ve got some doubts, then you’ll find the answers to the most often asked questions in our carefully-prepared FAQ. Or maybe you want to find out who won the previous editions of the Masquerade? 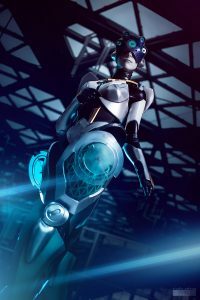 If you want to learn from the masters of cosplay, take a look at the section dedicated to winners from the recent years in this competition. There really is a lot to admire!